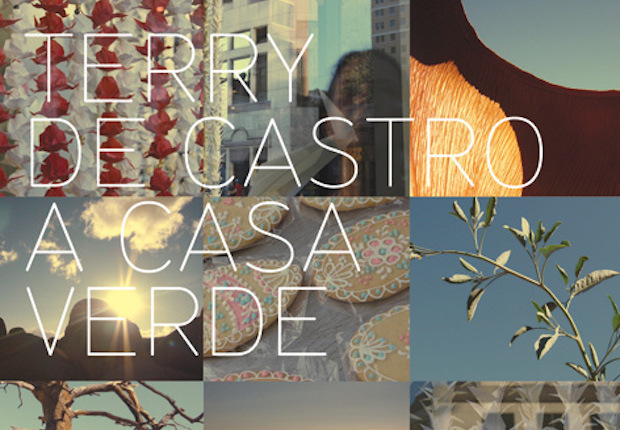 On 15 June 2009, Terry de Castro - former bass player with Cinerama, The Wedding Present and Goya Dress- released her debut solo album, 'A Casa Verde'. Terry de Castro takes a novel approach to her solo debut, one that is especially charming, likable, and… well, curious. She’s chosen to take a wonderfully unusual course and recorded an album comprised entirely of cover versions, but these are not necessarily well-known songs by famous artists. Each songwriter on A Casa Verde is a personal friend and musical collaborator of Terry de Castro. The record comes with elaborate sleeve notes delineating the stories, alliances and histories of all the artists and her connections to them, placing each song into it’s unique context, thus strengthening the overall coherence and concept of the album. It’s a deliberately understated exercise. There is a warm, inviting humility in the basic premise of devoting a record to the telling of stories by your friends, and it informs the entire endeavour, setting a tone of intimacy and empathy. Each song is a story unto itself, and all of the songs hang together in a vivid and illuminating way. Nationality comes into play here as well: A Casa Verde is replete with the intrinsically soothing and unmistakably American strains of steel guitar and banjo, among other instruments. De Castro’s maturity as an artist is apparent from the first track, as she adapts “Dalliance” by The Wedding Present, readily making it her own by layering pedal-steel and acoustic guitars. It’s a wry, subtly arch choice to launch this particular solo debut. In one of the album’s highlights, de Castro strikes a darker tone with “East St. O’Neill” by Hank Starrs. With a deceptively languid start and sparkling imagery, it builds slowly, on a theme of murder and sorrow, rising on the strength of rousing chord changes that are disturbingly catchy, given the subject matter. As the record progresses, a rich array of styles and subjects take their spin across the dance floor. “The Sun Is Always Sweetest” by Dean Hawksley is a bittersweet Country-tinged waltz. Two tracks by Astrid Williamson (Goya Dress); “Glorious” and “To Love You,” are swirling torch songs. The authors also include Mike Chylinski (Drugstore), Simone White (Audi’s ‘Beep Beep’ song), Johnny Daukes (Eurotrash), and Paul Hiraga (Downpilot). de Castro does an expert job of filtering their material through her own self-assured aesthetic, while directing an outstanding band in the process. A Casa Verde is an unpretentious, lovingly assembled pop record; a simple collection of songs. But as a project, the record hangs together in a positively conceptual way, one that vivifies Terry de Castro’s life, and the lives of her friends.